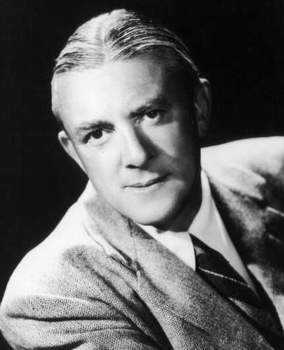 James Hilton (1900-1954) was one of the more popular writers of the 1930s, known above all for two novels (both of which became very successful films): Lost Horizon (1933) and Goodbye Mr Chips (1934). The former is a fantasy novel about a valley in Tibet, Shangri-La, a utopian place where time stands still. Shangri-La became synonymous with a place of peace and rest, which is why it had been used as a house name by countless people. Franklin D. Roosevelt named his Maryland presidential retreat Shangri-La; Eisenhower renamed it Camp David, after his son. Flanked on one side by a pickle-factory, it shared its other aspects between the laundry of the municipal bath and a busy thoroughfare lined by market-stalls. Personally I rather liked the rococo liveliness of such surroundings. I grew used to the pervading smell of chutney and steaming bath-towels, to the cries of costers selling oranges and cough-drops, and it was fun to step out of the classroom on winter evenings and search a book-barrow lit by naphtha-flares or listen to a Hindu peddling a corn-cure. And there was a roaring music-hall nearby, with jugglers and Little Tich and Gertie Gitana; and on Friday nights outside the municipal baths a strange-eyed long-haired soap-boxer talked anarchism. Somehow it was all rather like Nijni Novgorod, though I have never seen Nijni Novgorod (26). In 1914 Hilton won a scholarship to a public school, but his father strongly disapproved of it since it had a rifle-range and an Officer Training Corps, “symbols of the War that, above all things, he hated” (30). Hilton began to learn Russian, and tried for a job in a Russian bank in London. “Worse still, I nearly got it” (32). Eventually his father said that Hilton himself should look for a school, and after touring England, Hilton chose The Leys, in Cambridge, because he liked the town. The school did have a rifle-range and an Officer Training Corps: “Relying on the fact that my father was both forgetful and unobservant, I said nothing about this at home, got myself entered for the school, and joined it halfway through the summer term of 1915” (34). Hilton was called up in 1918 (see War Experiences) but saw no active service, and in October he went to Cambridge University to read English and History. His first novel came out in 1920; he wrote ten more before Lost Horizon came out in 1933. Goodbye Mr Chips was even more successful, especially in the USA. In 1935 he married, and also acquired a US agent; by March 1936 he was established in Hollywood and had begun writing screenplays. Lost Horizon was filmed by Frank Capra in 1937 (starring Ronald Colman), and Goodbye Mr Chips by Sam Wood in 1939 (starring Robert Donat and Greer Garson). Hilton established himself as a highly-paid script writer in Hollywood, winning an Oscar for his part in writing the screenplay of Mrs Miniver (1942: dir. William Wyler, starring Walter Pigeon and Greer Garson). He died in Long Beach, California, of liver cancer. The above information was largely taken from Felicity Ehrlich’s entry in the Oxford Dictionary of National Biography; there appears to be no full biography. The just over fifty pages of reminiscence in Hilton’s own To You, Mr Chips is the most informative source for his early life.